Even as a seven-year-old, Drew DeRidder was displaying the maturity and courage to trust his instincts and recognize when a change was needed. 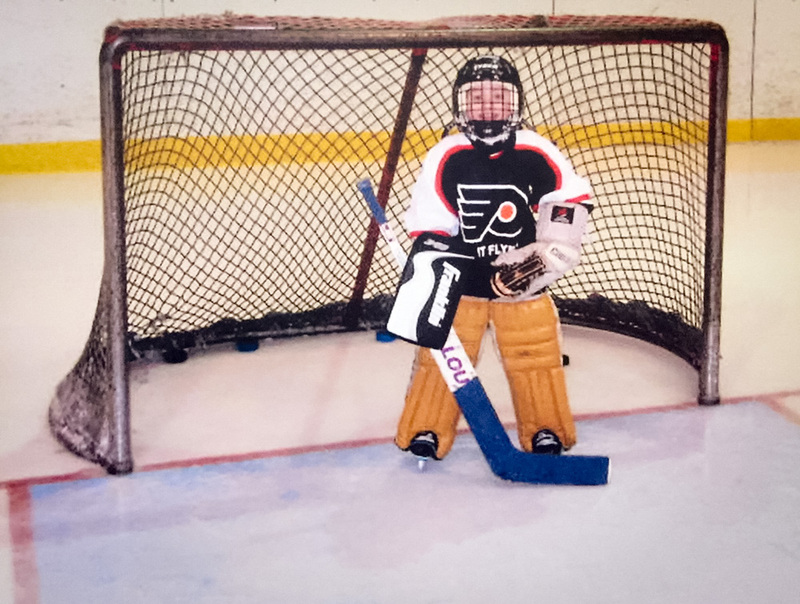 Growing up in a hockey family – his father, James, is a former high school and travel team player and youth coach – the Fenton resident took to the ice as a toddler and soon began playing on youth teams as a defenseman. Like his father before him, DeRidder quickly developed a passion for the sport and burning desire to improve. There was one problem, however. “I’ve always loved playing hockey and was probably first on the ice when I was about two years old; but when I started as a defenseman, I got too many penalties in just about every game,” recalls DeRidder, whose grandfather was also a hockey player and coach. Fortunately, DeRidder’s hockey career began an upward trajectory that continues to this day when the coach of his seven-year-old team (Flint Icelanders) asked the players if any of them wanted to play goaltender. “Before one of our games, the coach said he needed somebody to step in and be the goalie,” he says. “I was very excited to try it. Once I did, I loved the position and have been there ever since.” That decision has produced a hockey résumé few other players the now 16-year-old DeRidder’s age can match. 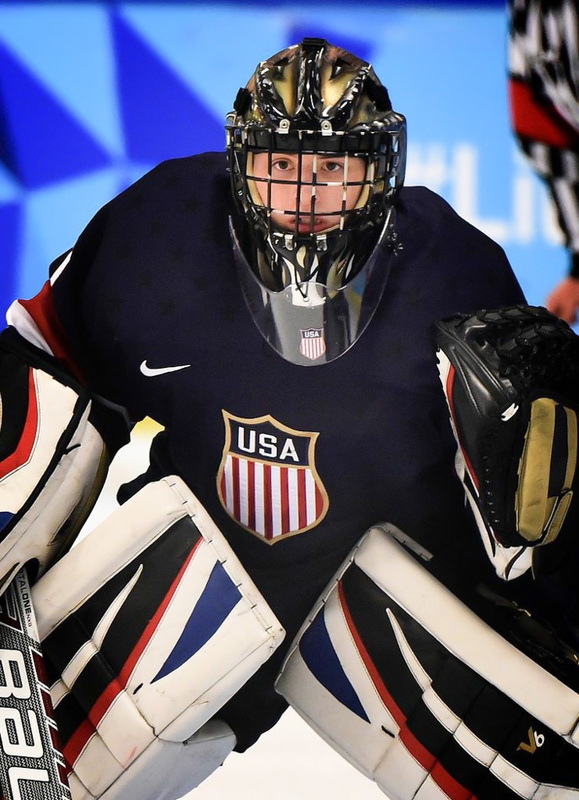 In 2016 alone, his prowess between the pipes allowed him to lead Team USA to gold medals at the Youth Olympic Games in Lillehammer, Norway and Five Nations Cup in Frisco, TX, be invited to participate in the elite United States National Team Evaluation Camp and USA Hockey U-16 Player Development Camp, be selected in the United States Hockey League and Ontario Hockey League drafts, and be invited to the exclusive Warren Strelow National Team Goaltending Camp. And that’s not all. 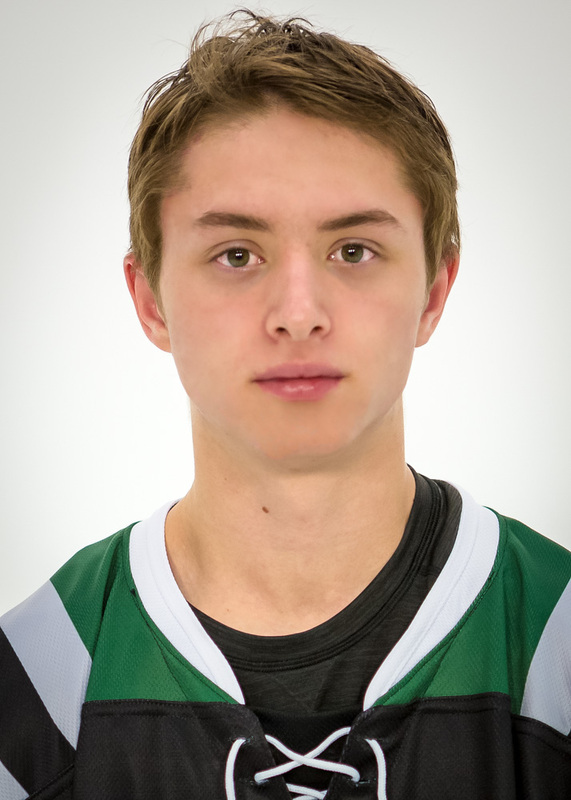 Last August, DeRidder verbally committed to Michigan State University before beginning the season with the Oakland Junior Grizzlies Midget Major U-18 AAA squad. 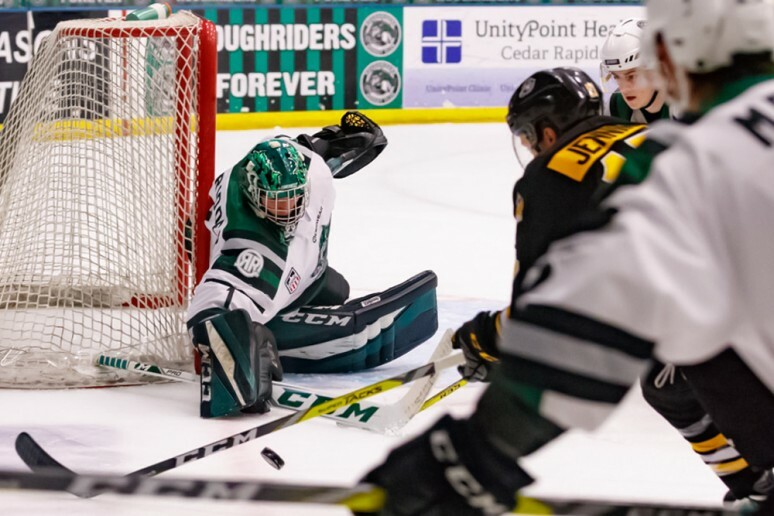 After winning his first five starts, DeRidder received a phone call from the Cedar Rapids (Iowa) Roughriders, the USHL team that had drafted him last spring. He was expecting to spend one more season with the Junior Grizzlies, where he has been coached by the likes of former Detroit Red Wings Todd Bertuzzi and Jason Wolley, before joining Cedar Rapids next year. Coach Mark Carlson, however, was in need of a goaltender with the Roughriders struggling to replace All-USHL performer, Ben Blacker, now starting for Western Michigan University. So, DeRidder pounced on the opportunity to reach the next level earlier than expected. While there have been growing pains and other adjustments both on and off the ice, he is thankful to be where he is. DeRidder learned quickly how much of an adjustment playing in the USHL would require. Through four games, he was 0-4 with a 4.21 goals-against average. He has since lowered that to 3.42 with a .889 saves percentage and 3-14 record, and also recorded his first USHL shutout. By comparison, during the 2014-15 season, he boasted a 27-4-3 record, 1.66 goals-against average and .932 saves percentage with the Junior Grizzlies Bantam Major AAA team. Last season, he was 17-11-4 with a .928 saves percentage and 2.08 goals-against average for the Junior Grizzlies Midget Minor AAA squad. Coach Carlson is undeterred by DeRidder’s performance thus far, especially considering he is the USHL’s youngest starting netminder. In fact, only 21 of the league’s 435 players are younger than he is. Drew took to the net at age 7 with the flint icelanders. DeRidder is not only the league’s youngest goaltender, but the lightest at 5’10” and 159 pounds. His size was no issue when it came to last February’s Youth Winter Olympic Games in Lillehammer, site of the 1994 Winter Olympics. He posted a 4-0 record and a paltry 1.0 goals-against average, stopping 75 of 79 shots for a .949 saves percentage. Team USA captured gold with a 5-2 win over Canada, avenging its only loss of the tournament, as DeRidder finished with 23 saves and finished the game sprawled on the ice at the bottom of the celebration pile. Being one of 48 players invited to the United States National Team Evaluation Camp about a month after the Youth Olympics was also a very cool experience for DeRidder. The event is designed to help coaches select the national U-17 team. To DeRidder’s surprise, he was not picked; but, ironically, none of the other four goalies invited to the camp are starting in the USHL and one is not even playing in the league. 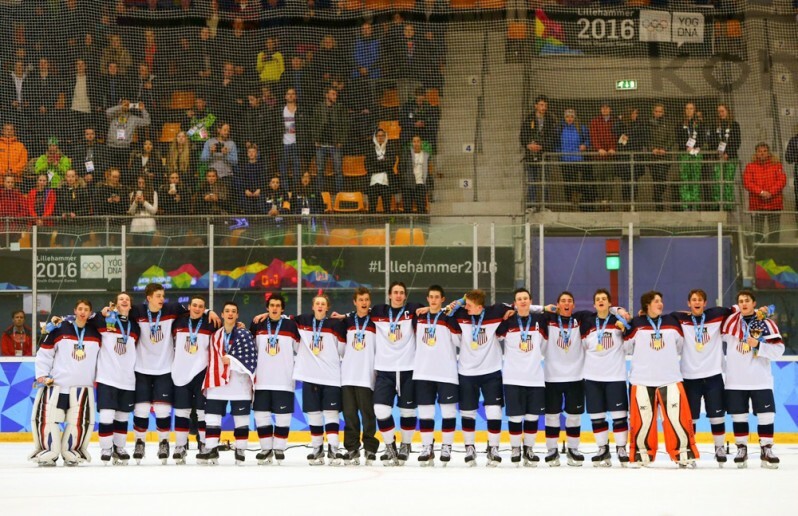 Drew (far left) helped team USA capture gold at the 2016 Youth Winter Olympic Games. After being drafted by Cedar Rapids and the OHL’s Sault Ste. Marie Greyhounds, DeRidder attended a training camp in Cedar Rapids and opted to go the USHL route to remain eligible to play college hockey. Next up was the USA Hockey U-16 Player Development Camp in Buffalo, where DeRidder was the top goalie with a 1.20 goals-against average and .960 saves percentage, stopping 72 of 75 shots in five games. As a result, he was named to Team USA for the Five Nations Cup in August. He went 4-0 with a 1.50 goals-against average and .940 saves percentage, backstopping Team USA to another gold. Soon afterward, DeRidder committed to MSU, where he will become only the second Genesee County player to earn a hockey letter with the Spartans, joining Fenton native and Flint Generals legend, Bobby Reynolds (1986-89). DeRidder will don the green-and-white in the fall of 2018 after finishing this season and playing another in Cedar Rapids. “I just want to have a solid four years at Michigan State, be taken in the NHL Entry Draft at some point and then, see where my hockey career goes from there,” he says. Onward and upward, most likely.